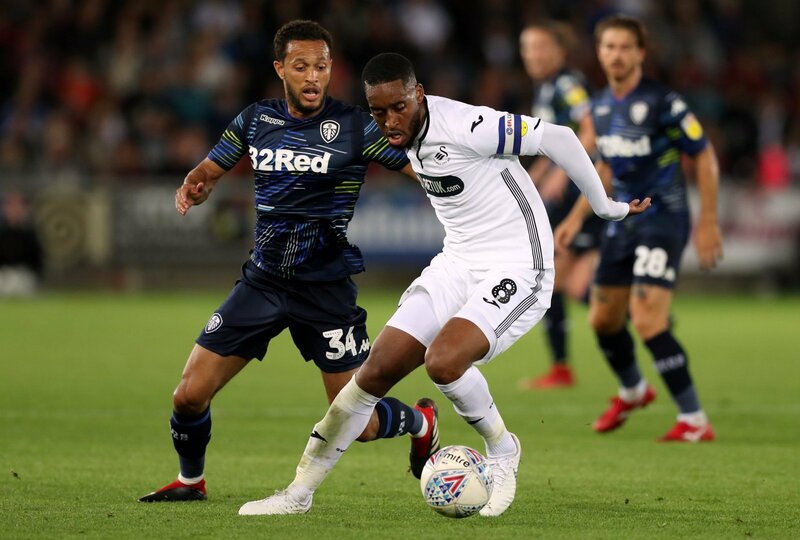 Sky Bet Championship side Aston Villa failed to complete the deadline day signing of Swansea City midfielder Leroy Fer due to the latter picking up a hamstring problem, according to reports from the Birmingham Mail. The 29-year old looked like he was close to making the switch to the West Midlands club on deadline day almost a fortnight ago, in a deal where reports began to surface towards the last few hours of the window. But in the closing stages of deadline day, a deal to sign the Dutch international fell through, to which Villa then announced the signing of Tom Carroll from the Welsh club instead. Reports from the Birmingham Mail now claim that the reason why Fer failed to complete a move to Villa Park was due to the player having a hamstring problem which was revealed in a medical at Bodymoor Heath. Contrary to other reports, it is also claimed that Fer’s wages were not an issue for Villa, who are still in with a chance of a play-off finish come the end of the season, after an enthralling 3-3 draw with Sheffield United on Friday night. Dean Smith’s men currently sit 10th in the Sky Bet Championship table, six points off the play-off places after winning just one of their last seven league games. This has turned out to be a big blow for Villa, who have really struggled with injury problems in their squad this season. Fer would have been a fantastic signing for Villa – he’s strong, athletic and powerful and would offer some real strength and experience in the middle of the park. The signing of Carroll has turned to be very underwhelming thus far, and it is ironic how he is also currently out with injury.